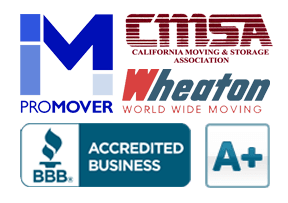 Renting Specialty Storage | Cummings Moving Co.
Before you rent a storage space, it is important to make sure it is equipped to handle any of your “specialty storage” needs. In this article, we discuss specialty storage, look at how it differs from standard storage and give you some important questions to ask as you consider renting space at a specialty storage facility. In the meantime, a very special note of appreciation to Brant Ward who took this wonderful picture of The Presidio Wine Bunker for The Chronicle. You may find more details via links at the end of this article. – Okay, back to specialty storage. When Do I Need Specialty Storage? Items like your prized wine collection, vintage cars, or priceless art will likely require some extra TLC by way of climate control. Extremely sensitive documents, hazardous materials and perishable or biological materials always present an extra layer of complexity and require specific handling in addition to climate-specific needs. In most cases it will be more cost effective to place your “normal” items into standard storage and reserve specialty storage only for items in need of extra care, climate control or special handling. IMPORTANT NOTE: Explosive, combustible or toxic materials may NOT be placed into conventional storage. It is easy to overlook things like batteries inside old toys and electronics, and certain cleaning supplies or toiletries; so when in doubt, discuss what you intend to store, BEFORE signing a rental agreement! 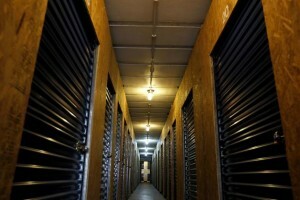 Should you require specialty storage, check with the company handling your standard storage and ask for referrals. The good eggs in our industry know the other good eggs! Is your facility climate controlled for temperature and humidity? Do you have temperature and/or humidity controlled rooms or cupboards for wine? Do you have temperature and/or humidity controlled, underground wine storage? Vibration is a concern, how do you control for that? What extra security measures do you take when storing extremely sensitive documents? Are you equipped to store vintage cars or motorcycles? Am I able to store fire arms or ammunition? Do you allow storage of biological or hazardous materials? Do you offer pick-up and delivery for the specific specialty items I would like to store? Do you offer a “mobile storage” option via a container that I can pack and lock before it’s moved? As you see, it is good to be specific. Remember to ask these questions if they apply to your needs. When it comes to specialty storage, it is better to ask too many questions than too few! Photo Credit – A special thank you to Brant Ward of The Chronicle for the use of his photo of The Presidio Wine Bunker, a beautifully re-purposed Army munitions storage bunker in San Francisco, CA.